Introducing the Suncrisp Appleghan CAL! Ready for fall? So are we! Join the new Suncrisp Appleghan crochet-along! We’re super excited to work with Tamara Kelly of Moogly to create the CAL for you! You can check out more of Tamara’s designs on her website and be sure to check out the other patterns she’s designed for I Like Crochet as well! Inspired by bright colored apples, sunny autumn days and crisp fall air, this Appleghan captures the essence of Autumn without being drab. Made up of different squares, each week you’ll learn how to do a different motif for this amazing afghan. All the information needed to get started with the Crochet Along can be found here! PLUS in exciting news you can win a 1 year subscription to I Like Crochet Magazine! That’s 6 new issues full of exclusive designs, access to hundreds of patterns in our archives. Details for how to enter this giveaway by participating in this CAL are down below. The original Suncrisp Appleghan is crocheted in Lion Brand Vanna’s Choice yarn. Order your yarn in time to start the first section of the Crochet-Along which begins on 9/8/2017. Each week we will be releasing a new section of the Suncrisp Appleghan pattern. Follow along on our blog to find the latest release! October 6 – Last chance to post your photos! October 9 – Winner announcement! Let’s Get Social! Share your photos of your progress in any of the following places for an entry to win a year subscription to I Like Crochet Magazine! One of the best parts of a CAL is that you’re not alone! Other crocheters are here to support you and help you along the way as you work on the same pattern together. Feel free to ask questions in our Ravelry group and Tamara will be sure to guide you in the right direction! Post photos of your progress on our Facebook page and Facebook group to be added to our Facebook album featuring Suncrisp Afghans as well as being featured in a future issue of I Like Crochet. Give us a follow on Instagram and share your photos there too! Each photo shared can earn you an entry to win a free subscription. Just use the hashtag #AppleghanCAL so we can find your photos wherever you decide to post them. *Note: you need to like our page and/or be a member of our Facebook group in order to post a photo. If you aren’t already fans or members, simply like our page or request to join. Post photos of your progress on the I Like Crochet Facebook Page, Happy Hour Facebook Group, or on Instagram with the hashtag #AppleghanCAL. By sharing your photos and participating in the CAL you agree to let I Like Crochet use your photos in a Facebook album and share them in our magazine. Max number of entries is five original photos. Duplicate photos will not be counted. One winner will be chosen at random after all the photos have been tallied. The winner will be announced on this blog at the end of the day on October 9, 2017 as well as contacted via social media. Photos posted after the announcement will not be counted. I just ordered my yarn online today as I did not get notice of this until today. 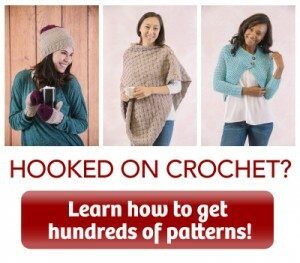 Can you give me the link to the videos and will these videos be available even when the knitalong is over since I will be getting a late start? I want to join you CAL for the Applecrisp Sunshine Afghan. How do I get #1 & 2 patterns sent to my e-mail & the rest coming out each week? It says file not found.I taught it was starting today ?I bought all my yarn. Hi Ellie, Feel free to post your photos on Twitter! Just tag @ILikeCrochet to make sure we see it. Thank you!